It occurred in December 1983, when President Ronald Reagan’s war against communism in Central America was at a crossroads. El Salvador’s military, backed by the Reagan administration, was being pilloried for human rights abuses, such as the torture and killing of civilians, including Catholic nuns. 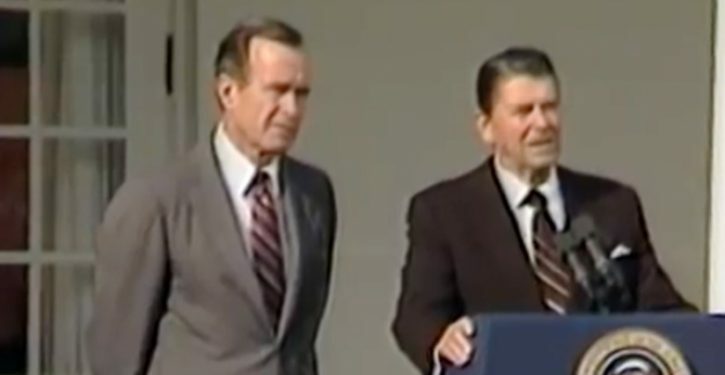 Reagan wanted someone to go on a hair-raising adventure into the jungles of El Salvador and deliver a stern warning to the out-of-control commanders of the Salvadoran military: End the death squads and allow free elections, or America will abandon your fight against the communist rebels. Bush, the World War II torpedo-plane pilot, was unfazed.